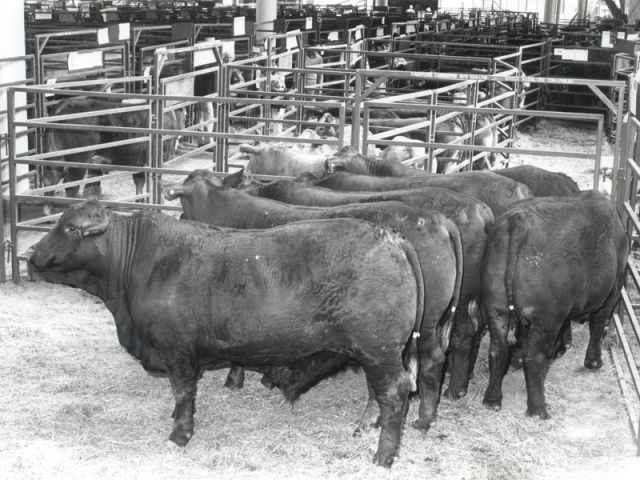 With a strong commercial focus underlying the breeding principles of the Rosevale Herd since its inception, prime cattle competitions have been used as a medium to showcase our cattle to the industry. 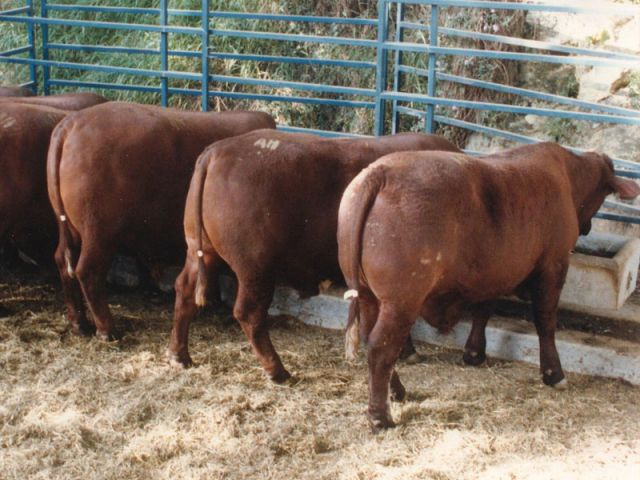 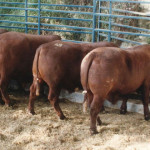 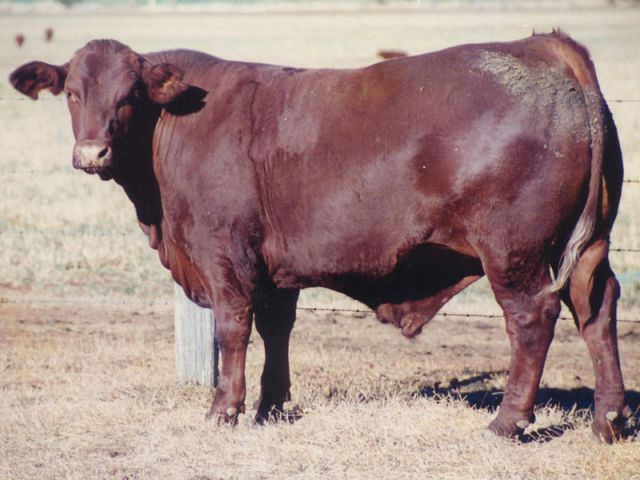 In the early days Rosevale Santa Gertrudis challenged the dominance of British breeds with great success. 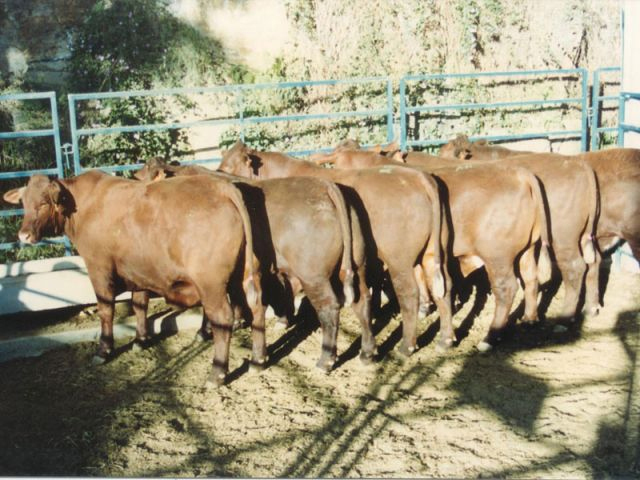 In the past twenty years the success of the Rosevale purebreds has continued even though their has been strong competition from European and European-infused crossbred cattle. 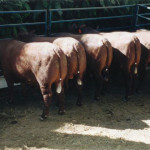 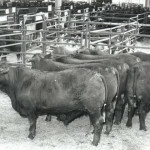 Between 1972 and 2001 Rosevale steers won a total of 25 championship ribbons (in 26 years entered) at the Brisbane Royal Show. 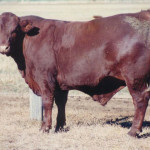 In 1994 Rosevale won the Santa Gertrudis Association Perpetual Steer Trophy for the fifth time in the Award’s eight year history. 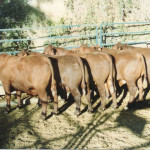 This award was presented to the most successful exhibitor of Santa Gertrudis in prime cattle competitions throughout Australia. 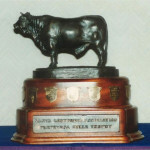 With wins in 1987, 1989, 1992, 1993 and 1994 the trophy was won outright by Rosevale. 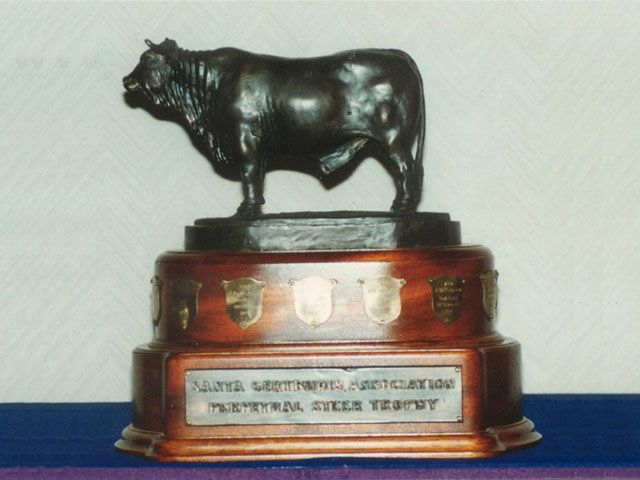 In 1995 a second SGBA Steer Trophy was created by sculptor Eddie Hackman. 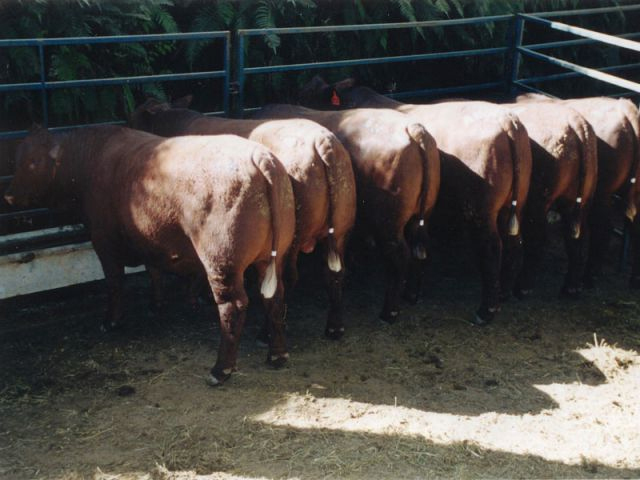 This award was won by Rosevale in 2000, 2004 and 2005.